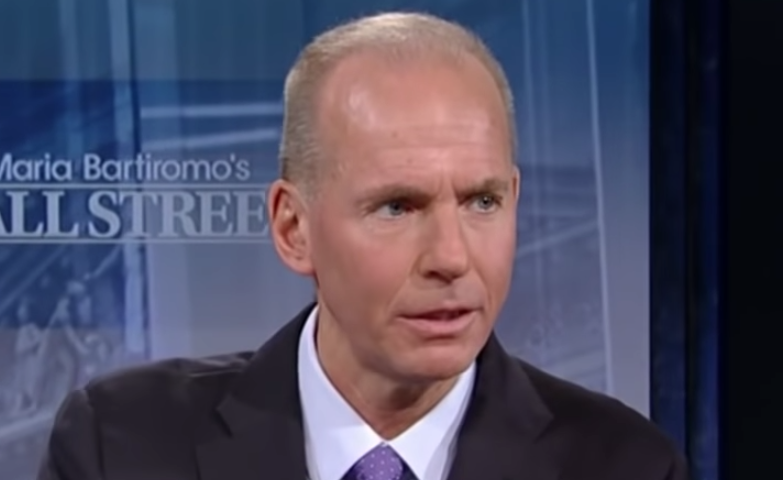 The CEO of Boeing, Dennis Muilenburg, says that for the first time ever Boeing has airplane production backlogs of seven years instead of just two. He said that this demand is driven by the rising middle class throughout the world. Boeing has a current backlog of over 5,800 commercial airplanes. We see traffic growth around the world as just tremendously strong right now growing at six to seven percent a year. Cargo strength has also returned year-to-date growing at about four percent. Those growth trends are out-stripping global GDP. Much of this is driven by the rising middle class throughout the world that’s really fueling the growth in this industry. We are ramping up production. On the 737 line, we ramped up to 52 a month this year, 57 a month next year. While we are doing that we are bringing in new innovation and new capability. The 737 MAX and the narrow body but also working on the next generation of widebodies. The 787 Dreamliner which has been very successful and we’re taking that up to 14 a month production rate next year. The 777X that we are working on will go into flight testing next year with first delivery in 2020, right on schedule. That’s important to our customers in the Asia-Pacific region as well as in the Middle East and here in the US. We have a backlog today of about 5,800 commercial airplanes. That’s the equivalent of about seven years of backlog. Our customers tend to make very long-term decisions that aren’t as much influenced by local interest rate fluctuations or oil price fluctuations. We are today selling airplanes, 737 MAX’s for example, and our production skyline out in 2023 and beyond. That’s the long-term headset of this business. The fact that we have that healthy backlog really allows us to think about long-term investment in the business to sustain growth. For the first time ever we have backlogs measured in about seven years instead of two. We are making long-term investments, disciplined in our production rates, so fundamentally the structure of the business has changed. We see this as a long-term sustained growth business. The growth in commercial airplane production is fueled by passenger growth around the world. We see that as a decades-long trend. We are also growing now in our services business which is a significant additional capability for us, probably our single biggest growth opportunity. Services by its nature is a non-cyclical business which is part of this sustained growth model that we built. We just launched our new services business about a year and a half ago and year-to-date its been growing at 12 percent per year compared to a market that is growing at three percent a year. We are competing and winning at services. We also see our defense business as strong. One of the things that is unique about Boeing is what we call our ‘One Boeing’ approach which spans commercial services and defense and that’s providing a unique competitive advantage around the world. For acquisitions, we targeted areas we call verticals, things like avionics capabilities, interiors, and this past week we announced a new joint venture in auxiliary power units. These are examples of things that can grow our services business. When you think about what’s really valuable to our customers when you look through this lifecycle lense, not only how we design and build airplanes, but post-production, how do we support them and provide to our customers? That’s where we are really seeing some strong growth.